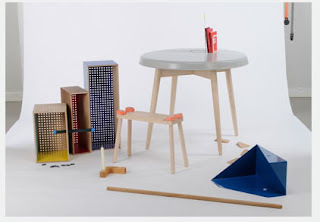 The London Design Festival is nearly upon us.... and after Kingston University's impressive degree show I am very excited to see The Made in... Design Collective, a group of fellow students who graduated this year; they present their work at the East Gallery on Brick Lane. An exhibition showcasing design that strikes a balance between functionality and concept, along with an overwhelming knowledge of process and materials. A characteristic which was awarded the 100% design award earlier on this year at New Designers through the work of James Shaw, for his metal spinning project. It shows a real understanding of manufacture along with a genuine curiosity of materials, which is highly inspiring. 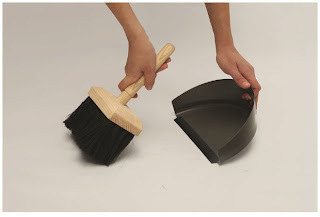 Especially through his dustpan and brush that challenges our sterotypical views of the cheaply made injection moulded version, encouraging the user to aknowledge this is a product that is used often, so why not invest in something aesthetically pleasing and substantial. Made In... featuring Rosemary Anrude, Leila Chouikh, Julia Georgallis, Jess Jones, Jihang Lee, Toby Mower, Jack Neville, Hyung Ok Park and James Shaw.